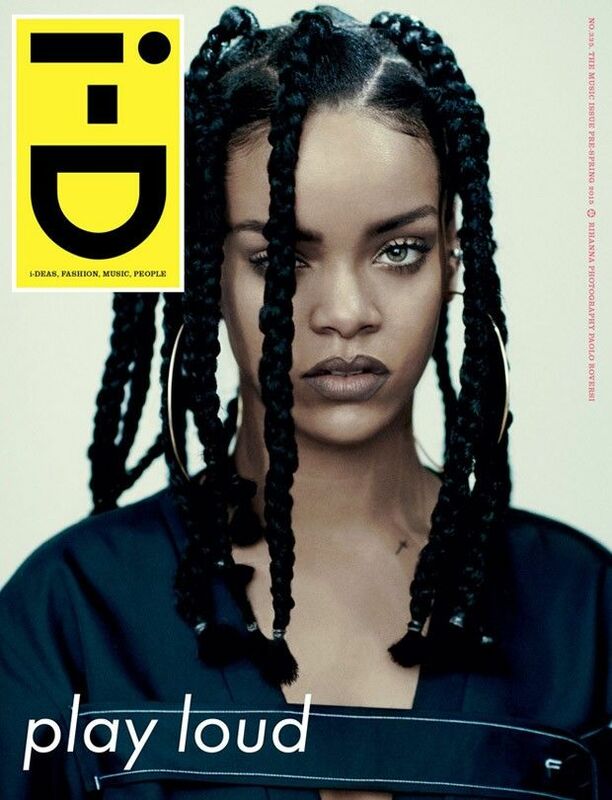 The Rihanna i-D Magazine cover for Pre-Spring 2015 is a nod to 90s hairstyles. For this issue, the superstar dons minimal makeup and heavy braids that mimic those worn by stars like Brandy, TLC's Lisa Left Eye Lopez and Janet Jackson's Poetic Justice character. Rihanna is striking and understated in the image and sports a couture wardrobe by French fashion house Celine. She tops her look off with oversized hoop earrings that are another throwback to the decade and its memorable fashions. The Rihanna i-D Magazine cover celebrates the rebirth of nostalgia. From the star's muted makeup to her dynamic braided locks, Rihanna proves that she truly is a style chameleon who can pull off just about any look thrown her way.